Crimetown Presents is an investigative anthology podcast series created by Marc Smerling and Zac Stuart-Pontier. Every season they introduce you to a new serialized story that pushes the boundaries of storytelling, sound design and music.Season Two, The Ballad of Billy Balls*: it’s 1982, and a man bursts into an East Village storefront apartment and shoots punk musician Billy Balls. Author and activist iO Tillett Wright and Crimetown Producer Austin Mitchell unravel a mystery of love and loss, the tender binds of family, and the stories we tell ourselves just to survive. Season One, The RFK Tapes: Zac Stuart-Pontier and Bill Klaber take a trip down a rabbit hole surrounding the assassination of Senator Robert F. Kennedy. 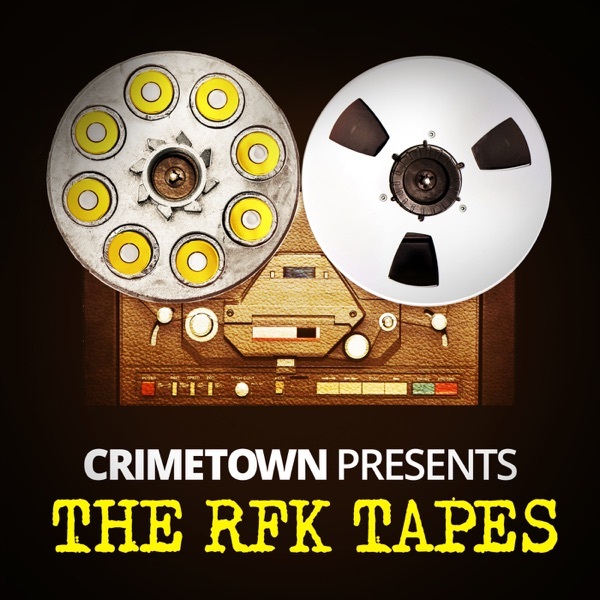 Featuring never-before heard police recordings, The RFK Tapes starts out a murder investigation and ends up revealing the power of conspiracy theories, and why it’s human nature to believe in them. * scroll down to see the episodes of Crimetown Presents: The Ballad of Billy Balls. Fifty years after the assassination of Senator Robert F. Kennedy, questions about the crime still linger. The RFK Tapes will explore the case through rare recordings and new interviews to try to understand what really happened on June 5, 1968. A new ten-part documentary series from the makers of Crimetown. Premiering June 5. Fifty years ago, Senator Robert F. Kennedy was shot in the kitchen pantry of the Ambassador Hotel in Los Angeles, moments after winning the California Democratic primary. A lone gunman was captured at the scene, pistol in hand. Police said the case was open and shut. But was it? Meet Bill Klaber (author, Shadow Play) - a researcher who has a very different idea of what happened on June 5, 1968. Allard K. Lowenstein encourages Senator Robert F. Kennedy to run for president but ends up wheeling him into the morgue. Years later, when he picks up the autopsy report, Lowenstein is stunned at what he finds. Through intimate private recordings, we follow Lowenstein as he begins questioning the official version of his friend’s murder.